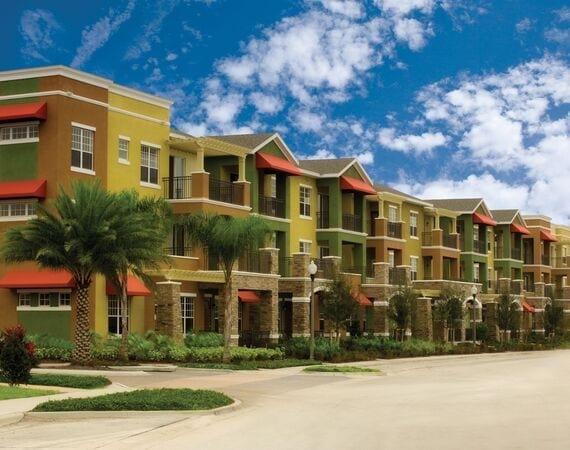 Ideally located near 417 and 528, the apartments at Urbana place you near limitless attractions in one of the most desirable areas in Orlando, Florida. The Hunter’s Creek neighborhood is a symphony of upscale living, featuring premium shopping centers, lush outdoor venues and delicious dining establishments. When you live in an apartment at Urbana, you are minutes away from Orlando International Airport, Universal Studios and Walt Disney World. Foodies will marvel at the selection of restaurants, which include Ale House, Jimmy Hula’s and 4 Rivers Smokehouse. You can also shop, dine and catch a movie at The Loop, or play on one of the sports courts at Osprey Park. World-renowned golf facilities are also nearby, including Shingle Creek Golf Club and Falcon’s Fire Golf Club. Reach out today for more information.